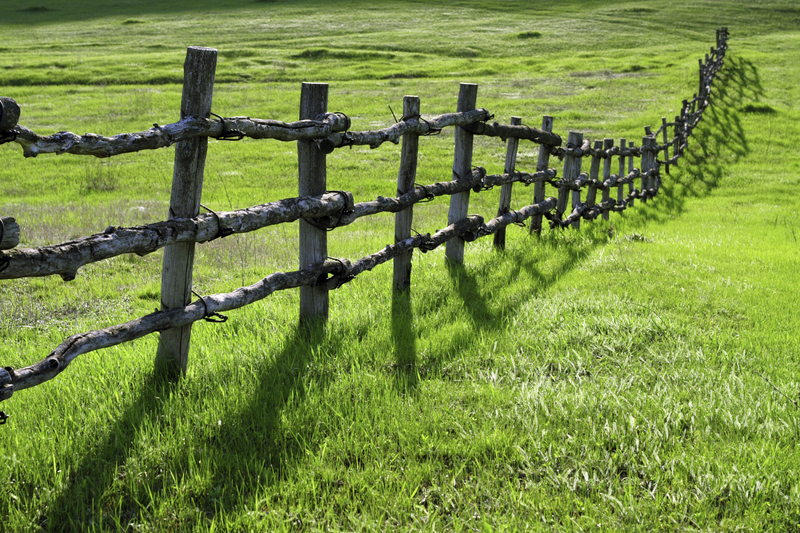 When did the earliest believers begin to question the “boundary markers” of Judaism? By “boundary markers” I mean primarily circumcision, food laws and keeping Sabbath. It is not really possible to describe Peter and John as preaching to Jews in the Temple that what Jesus did on the cross freed them from the Law. One reason for this is that there were few Jews who saw the Law as a slave master from which they longed to be free. For the men worshiping in the Temple, and likely for those in the Greek-Speaking Synagogue of the Freedmen, keeping the law was a privilege given to them by God. There were likely few Jews if any who would have relished the chance to throw off the constraints of the Law. In fact, the Maccabean Revolt indicates that the majority of Jews were willing to fight in order to be allowed to keep the Law! For me, this indicates that the Jewish believers in Jerusalem continued to practice Judaism in every way. The question “should we continue to circumcise our children” or “should we eat prohibited foods” simply would never have come up in the early years. Jesus is Messiah and Savior, but he did nothing to cancel the Jewish believer’s commitment to the Law. Another indication of this is that many Pharisees and other “zealous” Jews joined the Jerusalem church (Acts 15:5, 21:20-21). If Peter, John, Stephen or Philip urged Jews to defect from the Law, the reaction to Paul is unintelligible. The boundary markers only became an issue after a significant number of Gentiles joined the church, likely in Antioch first, but certainly in Paul’s first churches in Galatia. Acts 11:20 indicates that the church at Antioch limited their evangelism to Jews until men from Cyprus came and evangelized the Hellenists. The noun Eλληνιστής refers to Greek speaking Jews (BDAG), not Greeks. The ESV footnote says that the word refers to Greek speaking non-Jews, but this explanation is not correct and misses the point Luke is trying to make. The Christians at Antioch are targeting both Hebrew/Aramaic speaking and Greek speaking Jews just like what was happening in Jerusalem until the persecution scattered the believers. Even if these Hellenists are Gentiles, it is likely that the Gentiles who were joining the church in Antioch were doing so as God-fearers. This was the recognized practice in the synagogues anyway. There was no compulsion for these God-fearing Gentiles to submit to circumcision, although it appears that in every other respect they kept the Law and traditions of the Jewish people. The fact that the apostolic representative Barnabas was pleased with the progress in Antioch indicates that the Law is still respected and kept in these Christian synagogues. There is really no “questioning of the boundary markers” until the first Pauline mission, when the gospel is preached outside of the synagogue and Gentiles who were not already God-fearers accepted Jesus as savior. If Luke’s story ended in Acts 11, then Christianity would have remained a messianic sect of Judaism. Acts 10 – What is a “God-Fearing Gentile”? Luke describes Cornelius as God-Fearing and devout. “Devout” (εὐσεβής, 10:2) indicates someone is devoted to a particular religion or god; a person who is “profoundly reverent” (BDAG), whether this is a person who is reverent towards the God of Israel or a Greco-Roman god. The description of Cornelius as a God-Fearer (φοβούμενος τὸν θεὸν) may mean he was a Gentile who was nearly a convert to Judaism, keeping as much of the Law as possible, but not submitting to circumcision. Julius Scott provides the more or less standard definition of a God-Fearer: “an unofficial class of Gentiles who stopped short of becoming full proselytes but were permitted limited participation in Jewish worship” (JETS 34 : 478). The key word here is “unofficial.” There was no recognized class of Gentile “near converts” in the first century, although it is likely that most synagogues had one or two of these God-Fearing Gentiles. When Luke used the term “God-fearer” he has in mind Gentiles who worshiped the God of Israel in the Synagogue without practicing all the Jewish boundary markers. For the most part, a retired soldier could have kept Sabbath and observed dietary laws without attracting much attention. A. T. Kraabel examined the archaeological evidence from synagogues concluded that there was no class of “Gentile God-fearer” worshiping alongside Jews in Diaspora synagogues. After examining about a hundred synagogue inscriptions, he did not find a single example mentioning God-fearers (116). Based on his reading of the archaeological evidence, Luke created this class of “near convert” for theological reasons. “It is a tribute to Luke’s dramatic ability that they have become so alive for the later Church, but the evidence from Paul’s own letters and now from archaeology makes their historicity questionable in the extreme” (120). Craig Keener cites Kraabel’s article as well , but he offers a wide range of evidence the term could be applied to proselytes (Test.Jos. 4:6) as well as “Gentile sympathizers” (Jos. Ant. 20.195; 14:110), concluding that it is “not accurate to claim the phrase we never applied to Gentiles” (Keener, 2:1752). In fact, archaeology since Kraabel’s article has cast doubts on his conclusions. At Aphrodisias there were at least 50 Gentiles described as God-Fearers. Luke is telling the story of the movement of the Holy Spirit from the Temple in Jerusalem were the Jewish audience would be the most godly to the fringes of Judaism (proselytes like the Ethiopian, Samaritans, magicians, Hellenists, etc.) and now a God-Fearing Gentile in Caesarea. Cornelius is the most likely candidate for a Gentile conversion to the followers of Jesus. Cornelius is on the very edge of what makes one part of the people of God. The question remains, for Luke, on which side of the Jew/Gentile line is Cornelius? From a Jewish perspective, could he considered “right with God,” despite not submitting to circumcision? Or, is this story a kind of “Pentecost” for the Gentiles? Is it possible the conversion of Cornelius, a man farthest away from the Temple possible, can still be a part of the people of God? Peter stays in Joppa at the home of Simon the Tanner (Acts 9:43). This simple statement is important, especially in the light of what happens in chapter 10. This is significant since the occupation of leather-worker (tanner) was considered to be unclean by the Pharisees. In the Mishnah there are several references to tanners. They put carrion, graves, and tanneries at least fifty cubits away from a town. 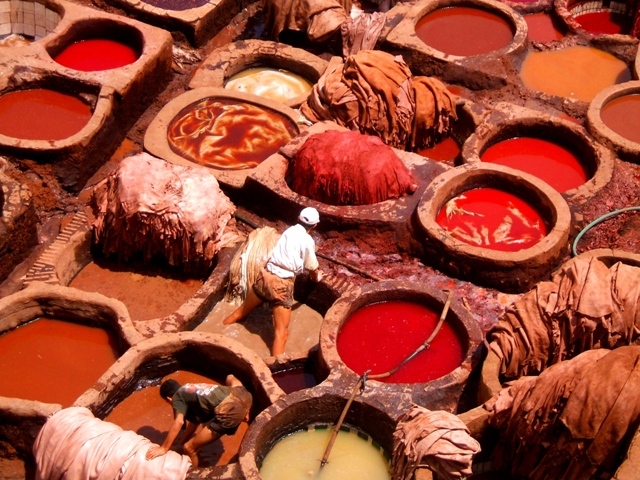 They make a tannery only at the east side of a town. (m. B. Batra 2:9, Neusner, 561–562). A tanner is just about the lowest possible job in any ancient society! Because of the stench of the tanner’s shop, most towns required that the tanner had to live on the outskirts of town, outside the walls and as downwind as possible. Keener reports the tanner is over listed along with other undesirables, including beggars and prostitutes (2:1725). The tanning trade seems to have been good for Simon since he is able to show hospitality to Peter in his home. The home is large enough to have a gate and courtyard far enough away from the house that Peter did not hear Cornelius’ men arrive (10:17-18). Simon is undoubtedly Jewish since he shares the same name as Peter, the most common name among Jews in the first century. But he is certainly not representative of normative Judaism. As C. K. Barret says, Peter is staying “in a low class area and with one of very doubtful repute in Jewish eyes” (Barrett, Acts, 486). Peter is therefore continuing the ministry of Jesus, reaching out to those who are on the fringes of Jewish society, sharing meals and hospitality with them. It is therefore curious that Peter hesitates when he is told to God to Cornelius in chapter 10. This is a testimony to how far Jews and Gentiles were separated culturally. 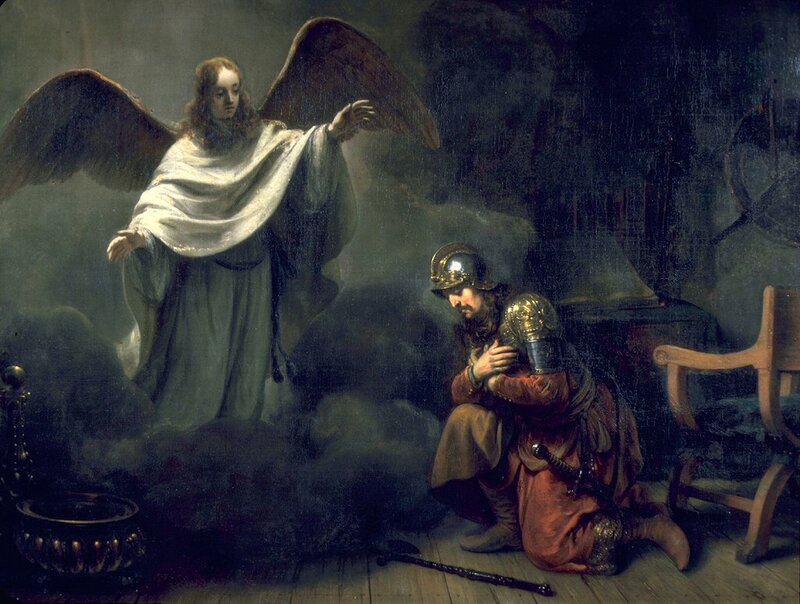 Peter has no problem staying in the home of a tanner, yet he is hesitant to enter the home of a Gentile God-fearer who was likely more “clean” with respect to the Law than the tanner. Lydda was a large Jewish village in the Plain of Sharon. Lydda is on the main road from Jerusalem to Joppa, about 27 miles (44km) northwest of Jerusalem on the coastal plain. (The modern Lod, ten miles from Tel Aviv, is near the Ben Gurion airport.) Lydda was a large village according to Josephus (Antiq. 20.130) and predominately Jewish (Schnabel, Early Christian Mission 1:688). It is mentioned several times in 1 Macc as one of the most significant Jewish cities in the region (1 Macc 11:34, Antiq. 13.127). The town was burned by the Romans in the Jewish War (A. D. 66) and repopulated with Jews loyal to Vespasian two years later. Later the town was the site of a rabbinic academy and synagogue, but there is no evidence for these at the time of Peter’s ministry. Luke uses the word “saints” to describe these believers in Lydda (9: 32) and in Joppa (9:41). Luke does not tell us how the Gospel came to this region, although most commentators speculate Philip evangelized the area. The summary statement at the end of chapter 8 Philip went to Ashdod and eventually Caesarea, about 37 miles north along the coast from Joppa. The NIV says that Aeneas was “bedridden for eight years,” although it is possible to read these words as saying he was in bed since he was eight years old. Keener (2:1707) points out Luke often tells the reader how long a person was ill before they were healed (Luke 13:11, for example). The word for paralytic is not necessarily a paralyzed person, but one who is weak or disabled in some way (the word is rare in the New Testament, four of five times in Luke/Acts). Sometimes this refers the result of an injury. It is, however, the same word Luke used for the paralytic in Luke 5:18, the “parallel” story for this healing. Peter heals the man in the name of Jesus and then tells him to “take care of your mat.” These words are reminiscent of Jesus in Luke 5, but may not be an accurate translation. The literal Greek here is “spread for yourself,” which in the context of a man lying in bed for eight years would imply making one’s bed. But the words can also have the sense of making a meal, “set the table” (BDAG, 949). The line might be plausibly translated “take up your mat” or “recline at the table and eat.” If the latter is the correct reading, then there some irony: he has been reclining for eight years, now Peter tells him to come and recline at the table! Luke tells us that as a result of this healing, many in the region turned to the Lord. This is the same word used in 3:19 along with repentance. For example, in Luke 22:32 uses the word for Jesus’ prayer for Peter. After Peter’s denial, Jesus prays that he will “turn back” and lead his fellow disciples. This may indicate the Jews in the small villages in the area responded similarly to the Jews in Jerusalem who heard Peter’s preaching. What is the point of this brief healing story? Out of all the things Peter did, why does Luke choose to include this story? Tabitha is described as a godly disciple who died suddenly (9:36-38). 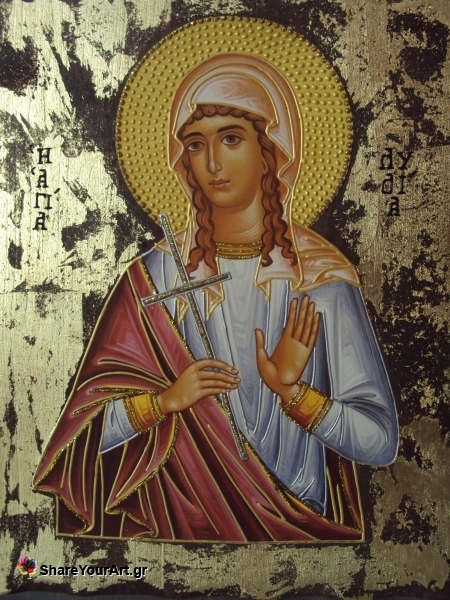 This is the only woman described as a disciple in the New Testament. The word μαθήτρια is used only here, it is used for female disciples of Plato (D. Lat Lives, 4.2). Luke is fond of telling two similar stories, one featuring a man and a second featuring a woman (cf., Luke 15:1-10). It is likely Peter did many other miracles during his ministry on the coastal plains, but Luke selected these two examples. Luke likely wanted his readers to take these two healings together as examples of the sorts of things Peter often did. In both cases Peter encounters potential uncleanliness, but this ceremonial uncleanliness does not prevent him from reaching out to people on the fringes of Judaism. I suggest Peter is simply following the pattern of ministry of Jesus who regularly crossed over cleanliness taboos during his ministry. Tabitha was also known as Dorcas, both names mean “gazelle.” While the name may be drawn from Song of Solomon 2:9, Ben Witherington points out it was common to give female slaves animal names (Acts, 331, n.16). He goes on to speculate that she may have been a freedwoman, although he settles on the name being of Jewish origin. It is possible Tabitha was wealthy since she is “always doing good works.” If she was a former slave set free by some prominent person, she may have had the time and means able to devote herself to charity work. She has a home with an “upper room” and her burial seems to be more opulent than expected if she was a pauper. It is possible she was a patroness of the church in Joppa, although this is not stated. Luke mentions at least one other prominent, wealthy woman, Lydia, who may have become a patroness of the church at Philippi. In addition, it is possible that Phoebe in Romans 16:1-2 was a patron for the church in Cenchrea. The description of her godliness is in line with Jewish indications of godly living. First, she was “always doing good.” Paul urges women to do “good works appropriate for women who profess to worship God” in 1 Tim 2:10. Second, she was always “helping the poor,” specifically poor widows. It is likely the clothing the women show Peter in v. 39 are examples of these acts of compassion. The description of Tabitha is similar to that of Tobit, a prototypical good man in the Jewish captivity (Tobit 1:3; 4:5-11). Whatever Tabitha’s social position, her death was seen as a great loss to the believers in Joppa. 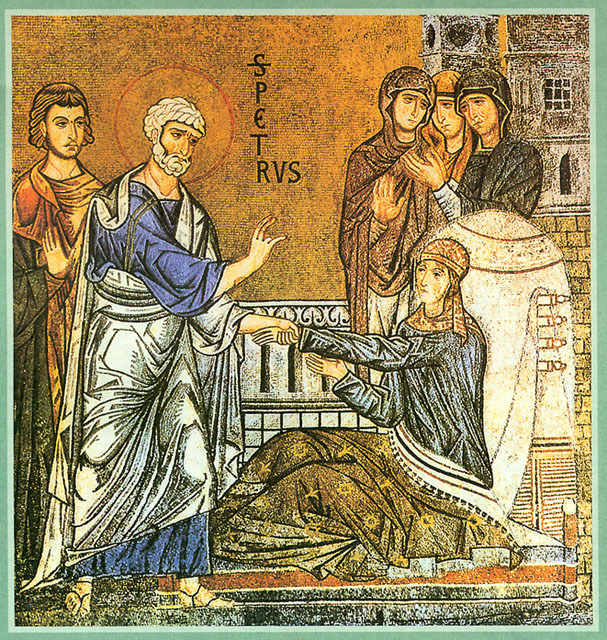 It is not clear that the believers called on Peter to raise her from the dead. Peter comes quickly to Joppa and prays for Tabitha (9:39-42). 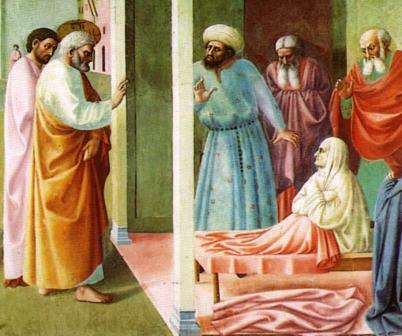 Similar to Jesus in Luke 8:50-56, Peter tells Tabitha to arise. There are a few significant differences, however. Jesus commanded the girl to rise, using nearly the same words as Peter does in verse 40 (in Aramaic, there would have been a difference of only a since letter). Unlike Jesus, Peter prays prior to telling Tabitha to rise. Peter also takes Tabitha’s hand in order to help her up from the bed. This is significant since (until a few moments before) she was dead. Touching a corpse would have rendered Peter unclean, but he has no problem entering a home where a dead person was placed and even touching the woman’s hand. As with the healing of Aeneas, we are left wondering what the point of the story is. Is Luke setting up Peter’s vision in Acts 10 and his visit to Cornelius? Or is Luke trying to consciously patterning the ministry of Peter after than of Jesus? Saul’s conversion in the first part of this chapter is dramatic, but it will be many years before Saul’s missionary efforts are detailed by Luke. From 9:32 through chapter 12 Luke follows the story of Peter outside of Jerusalem among Hellenistic Jews as well as his arrest in Jerusalem. There is little here to help with chronology. These stories “fit” any time after Saul’s conversion, there is little more to be said about when they occur. Luke continues to tell the story of the apostolic community moving out from Jerusalem geographically and culturally. 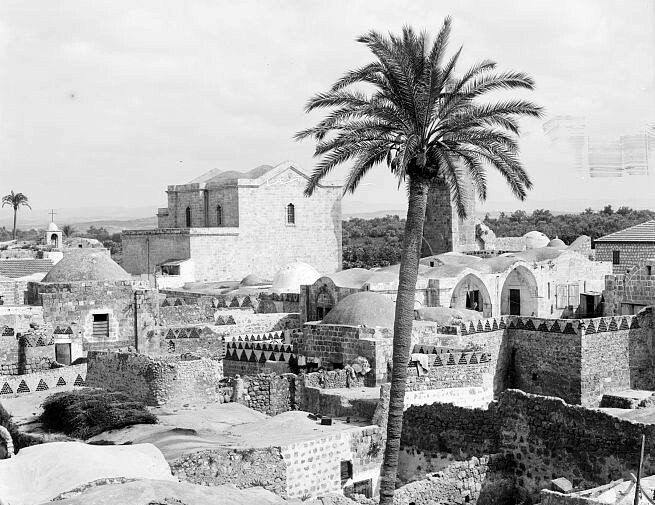 While Lydda and Joppa are not too far from Jerusalem and certainly had Jewish populations, they would be Hellenistic Jews in comparison to Jerusalem. Caesarea was a thoroughly Roman city built by Herod as a tribute to the Roman Empire. We have not arrived at Gentile ministry yet, but we are certainly on the edges of what it means to be Jewish. Peter’s ministry here cannot be seen as directed to the Gentiles yet, although in chapter 10 he will be called to preach the gospel to a man who is in fact a Gentile. While these two episodes are miracle stories, they give a bit of insight into the way in which the apostolic office functioned in Acts. Peter is traveling in regions which may have been evangelized by Philip. It is possible this is simply to encourage the believers there, doing general pastoral teaching and preaching. But it is also possible that Peter is “inspecting” these believers to see that they have not strayed from the gospel as it was preached in Jerusalem. (Hengel, Between Jesus and Paul, 117; Schnabel disagrees, Early Christian Mission, 1:693; Witherington is open to the idea, Acts, 328). That these locations are more Hellenistic than Jerusalem may be a hint that Peter is concerned that these “fringes of Judaism” have fully understood who Jesus was. In many ways, Peter is continuing to do ministry like Jesus did, reaching out to people who are Jewish, but on the fringes of society.